Taste test: These are decent kettle chips, with a good taste, but they're definitely inferior to Cape Cod chips, which set a very high standard for kettle chips and just taste better than these. 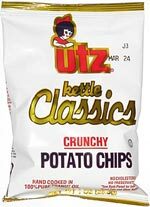 I like the fact that Utz put "crunchy" right in the name of this chip, and these are indeed quite crunchy. 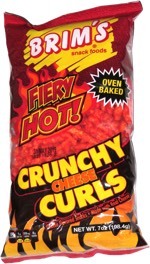 This snack was discovered by Keith.